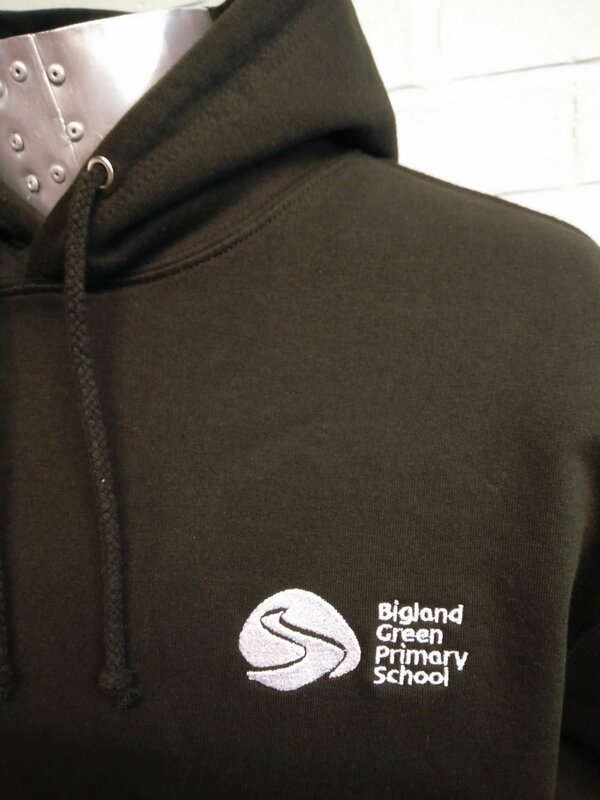 Bigland Green Primary School is situated in the inner city of London. 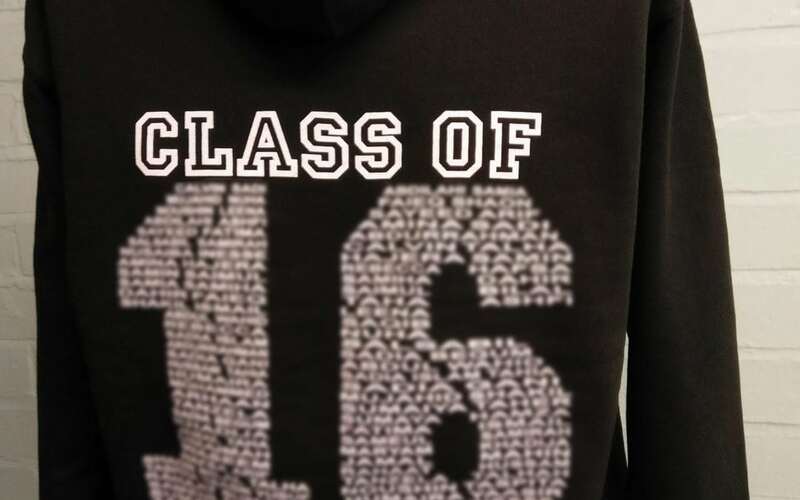 The class of 2016 leavers hoodies, created for Bigland Green Primary School students, are a classic combination of black and white, featuring the school’s path-like logo as white embroidery on black hoodie fabric. 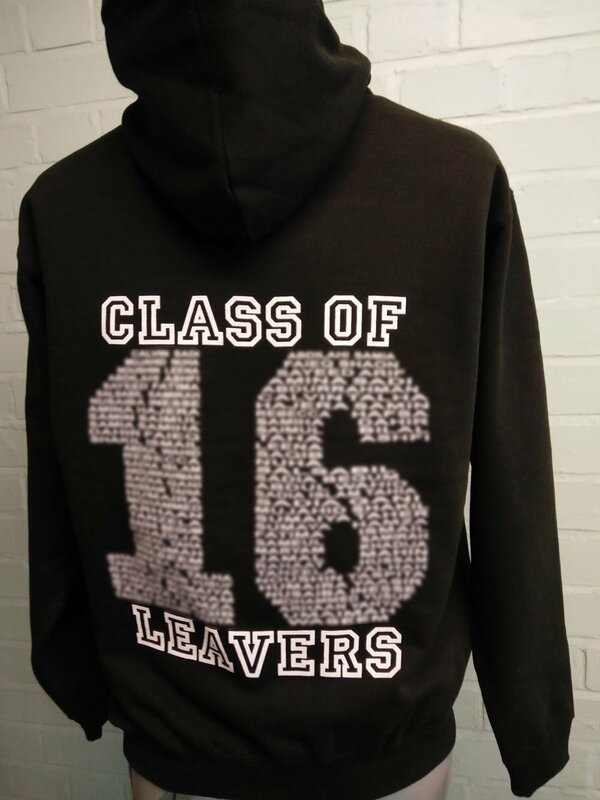 The back of the leavers hoodie combines the wording ‘class of’ and ‘leavers’ with the number 16, to create the message ‘class of ’16 leavers’. These hoodies aren’t personalised by individual name, which makes ordering extremely simple! However, they do have the names of each student included within the number 16. For more information about different types of custom printed leavers hoodies, contact us via email at [email protected] or call 01858 461 686.